As you add complexity to your custom app, it becomes important to also streamline your work in the app whenever possible. 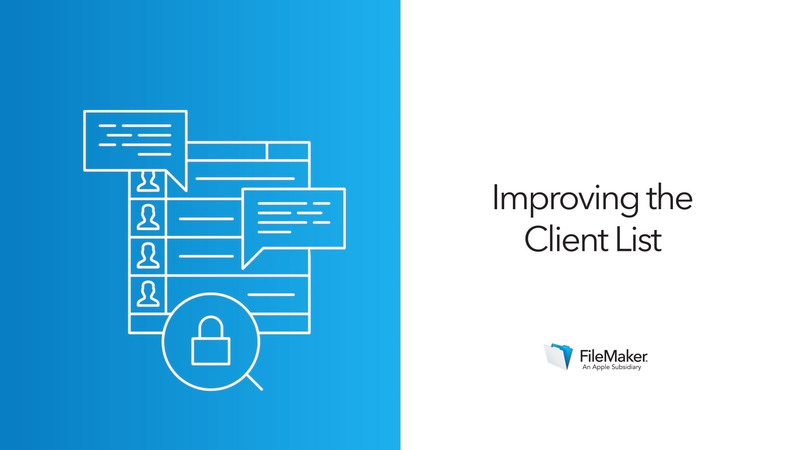 The themes and styles in FileMaker Pro Advanced offer an opportunity to make improvements to the usability of your app’s layouts in one area, then easily apply those changes across the rest of the app. Styles in FileMaker Pro Advanced are a set of formatting preferences that can be automatically applied to layout objects. You can apply a style to more than one object so when you change the style, all those objects are updated at the same time. Similarly, themes are sets of styles that can be applied to more than one layout. When you customize a theme and save your changes, all the layouts that use the theme are updated together. If you change your mind about how to format field labels, for example, you can make that change in one place and see it applied consistently throughout your app. During this lesson, you’ll create new styles and save them to your app’s theme. You’ll also combine a new calculation with a sub-summary part to make a list layout easier to scan. Save yourself time: themes help make your layouts coordinated and professional without having to modify each individual layout. Save your users time: layouts that use styles and themes render more quickly, keeping pace with the speed of your users. Practice editing and saving changes to styles and themes by addressing user requests about the readability of a list layout.